Parkinson, slowly progressive diseases that cause degeneration in certain parts of the brain and is characterised by slow movements, rigid muscles, tremor and a tendency to fall easily; effects also called paralysis mainly from degeneration of nerve connections at the base of brain but mainly involuntary movement caused by degeneration of inhibitory nerve in basal ganglia of brain. Mental faculties are also affected. Secondary; the same symptoms when they develop as a result of other damage to these nerve connections caused by inflammation of brain, Encephalitis, reduced blood supply to base of brain or disorders of nerve impulse transmission due to some drugs or poisons. Movement and coordination in the body are controlled in part by a chemical in brain called dopamine. In Parkinson, dopamine- producing nerve cells is damaged, gradually reducing levels in parts of brain. Without dopamine, the brain doesn’t send signals to the muscles so that they can function properly. Symptoms, and the intensity of the symptoms vary from person to person. Many researchers believe that PD may be caused by a combination of genetic factors and environmental factors, such as exposure to certain toxins. But not all movement difficulties are related to Parkinson’s disease. Depression: a common problem and may appear early in course of the disease, even before other symptoms are noticed, such as emotional changes, difficulty with swallowing and chewing. Muscles used in swallowing may work less efficiently in later stages of the disease. In these cases, food and saliva may collect in mouth and back of the throat that can result in choking or drooling. These problems also may make it difficult to get adequate nutrition. Skin problems common on face to become very oily, particularly on forehead and at the sides of nose. The scalp may become oily too, resulting in dandruff. In other cases, skin can be very dry. These problems are also the result of an improper functioning of autonomic nervous system. Excessive sweating, another common symptom, is usually controllable either with medications used for Parkinson’s disease or with other conventional concepts. Sleep: A good night’s sleep keeps body and mind functioning properly, but PD can include symptoms that interfere with the sleep- such as vivid dreams, sleeplessness, or restless legs. Dementia or other cognitive problems are common. Orthostatic hypotension, a sudden drop in blood pressure when a person stands up from a lying-down position. This may cause dizziness, lightheadedness, and in extreme cases loss of balance or fainting. Pain, people with Parkinson’s disease develop aching muscles and joints because of the rigidity and abnormal postures often associated with disease. Fatigue and loss of energy, which is unusual demands of living with Parkinson’s disease often lead to problems with fatigue, especially late in day. Fatigue may be associated with depression or sleep disorders, but it also may result from muscle stress or from overdoing activity when the person feels well. Fatigue also may result from akinesia – trouble initiating or carrying out movement. Exercise, good sleep habits, staying mentally active, and not forcing too many activities in a short time may help to alleviate fatigue. Helping one feels more in control of self-movements. Reducing gait problems and muscle /joint injuries. Muscle strength increases and keeps it in balance. Simultaneously, it increases energy, stamina and cardiovascular health. Stretching, this will increase range of motion and relieve muscle tension. Tai chi, which may improve the energy balance and provide mind and body relaxation. Yoga that uses stretching and breathing techniques to promote wellness. Drink lots of fluids more of water that too during daytime, even if not thirsty. Eat natural laxatives– prunes, vegetables, and foods high in fiber– to prevent or relieve constipation. Eat something cold and sour– before a meal to help prevent dry mouth. Avoid alcohol, caffeine, and other stimulants- especially in the evenings. Minimize fluid intake in the hours before bed time. Avoid watching TV, reading, or eating in bed. Remember that tending to your emotional health is as important as tending to your physical health. Prognosis: PD itself is not a fatal disease, but it does get worse with time. The average life expectancy of a Parkinson’s disease patient is generally the same as for people who do not have the disease. However, in the late stages of the disease, Parkinson’s disease may cause complications such as choking, pneumonia, and falls that can lead to death. Stages of Parkinson’s disease: Stage one, Symptoms on one side of the body only. Stage two, Symptoms on both sides of the body may develop. No impairment of balance. Stage three, Balance impairment, mild to moderate disease, but still physically independent. Stage four, severe disability, but still able to walk or stand unassisted. Stage five, wheelchair-bound or bedridden unless assisted. 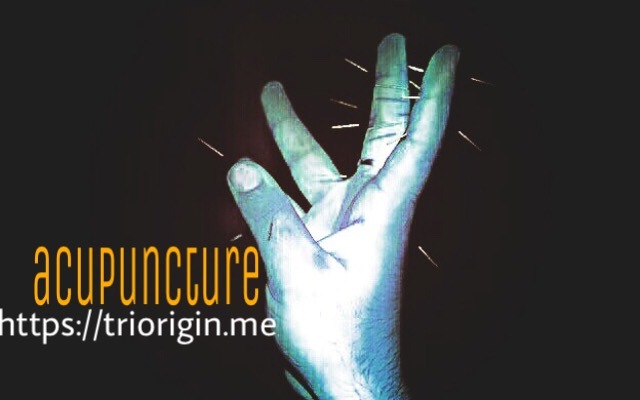 Overall, with the concept acupuncture TriOrigin ‘color’ ‘seeds’ defines that Parkinson’s wherein a deformation starts, and all the joints are in coldness condition, the dominant energy is very strong, causing the nervous system responsible for it, not to function properly. If according to an individual’s constitution axial relations – in most of the cases there is an excess of wind, humidity and coldness and deficient of heat, hotness and dryness that may take longer time to have positive results, but it works effectively. The process aids in strengthening immune system that indirectly increases both the ability to function and quality of individuals’ lives. Diamond energy system of the head that consists totality of Border and Core byol meridian, internal and external chakras. Being high level energy Diamond system of head can be used for successful medical treatment. What is treatment of PD please explain to detail for me. Pranam Sir. I would kindly like to thank you for the treatment. you are like God Sent in my case I had lost all my hope and confidence after i was told that i was having Parkinsons .And to live with this at such a young age . was a killer by itself .but thanks to Dr.kapur I am having my treatment and I feel a lot of difference.I only hope that I wish to be cured by this dreadful aliment . my hands and legs use to tremor a lot .and have a acute pain . to some extent it has recovered .this is a no side effect treatment .and I would personally say that this is quite effective in many other aliments also .I would thank you DR .once again . and would say on ratings level a really v.good .keep up the good spirit and the work too .thanks for all your help. whatever u have written is very informative dr dinesh thanks, i have mailed my dad about this, he has lots of problem while swallowing,and excessive sweating.thanks alot dr dinesh for you post on parkinson disease. It is great to inform when I brought my wife Renu Mehta for treatment her health was deteriorated and hospitals said its 67% blockage and diagnosed sever Global Hypokinesia and Dyslipidemia. She was unable to walk hardly. After having treatment through Dr.Dinesh I could feel she must have physiological progress of approx. 30% as she can move-walk. Though final improvements can be observed after having 3 months treatments. I am thankful to doctor Dinesh for the speedy recovery. Excellent way of telling, and good piece of writing to obtain data about my presentation subject, which i am going to deliver in institution of higher education.